Spending on the Affordable Care Act marketplaces has decreased, as Veterans Affairs has ramped up IT modernization efforts, according to a Deltek report. The federal health IT market is seeing strong growth and will peak at $8.5 billion in 2022, which is being fueled in part by the U.S. Department of Veterans Affairs EHR initiative, according to a new Deltek report. Health IT is pegged at $6.1 billion in 2018, pushed by both the VA and Department of Defense EHR projects, the report found. VA and DoD spending is expected to peak in 2022, but will scale back spending on existing EHRs as new systems come online. As a result, federal health IT spending in 2023 is projected to drop slightly to $8.1 billion. Currently, the Department of Health and Human Services leads in IT spending, and as of 2017, the agency had about 40 percent of the $7.5 billion in government health IT spending. The VA’s spending was about 27 percent, while the DoD came in third at 24 percent. But the VA’s IT modernization is seeing an increase, as IT spending for the health insurance marketplaces will drop. And HHS spending is decreasing as it goes back to pre-Affordable Care Act spending. Federal health IT initiatives also are focused on cyber, access and interoperability, and cloud and digital platforms, according to the report. 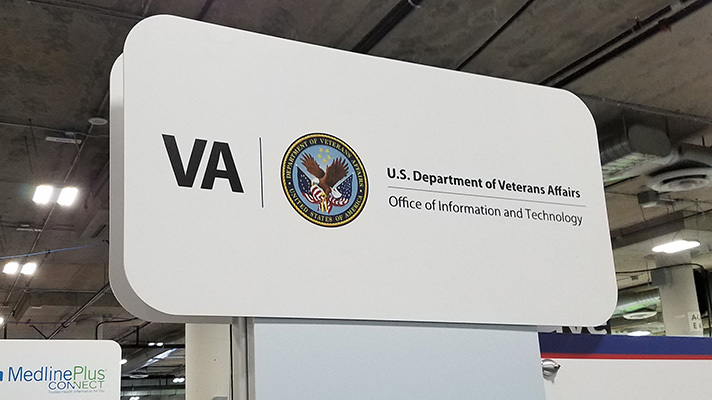 Former VA Secretary David Shulkin, MD, made the announcement in June 2017 that the VA would transition its legacy VistA EHR to Cerner and the effort has been fueled by the desire to interoperate with the DoD and private health sector. In fact, that contract was put on hold over interoperability concerns. But the Government Accountability Office expects the near $16 billion project to begin rolling out in June 2019. Federal health IT spending over the next five years will also be spurred by an increase in Medicare enrollment. However, the VA will still lead in health IT spending at about 40 percent, according to the report. By that time, DoD will have completed its rollout of MHS Genesis and will share about 27 percent of federal health IT spending at that time. Currently, DoD is in a planned assessment period after completing rollouts to four pilot sites. Further implementations are expected to continue through late spring. These include interoperability solutions with outside healthcare organizations and application development that leverages EHR data, infrastructure upgrades and functional tools not provided by the new EHRs.